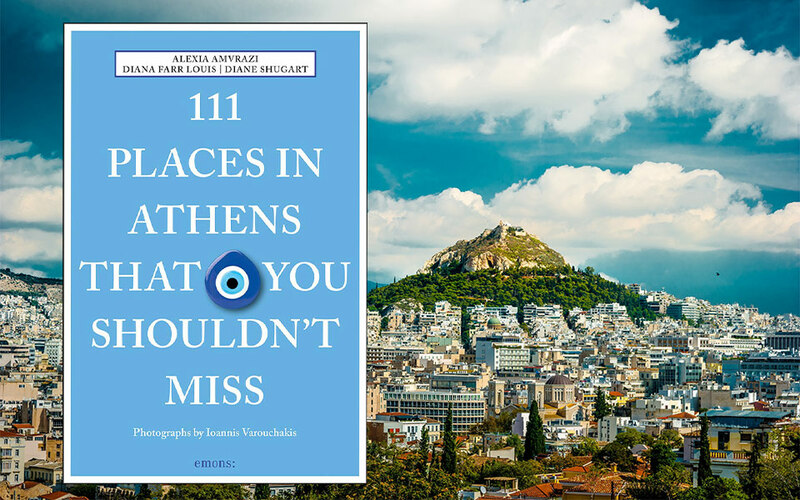 The authors of 111 Places in Athens you Shouldn't Miss, the latest guide book to the Greek capital, share excerpts of the book. In the pages of the latest guidebook to be released dedicated to the Greek capital, 111 Places in Athens That You Shouldn’t Miss, you won’t find a retelling of the history of the Parthenon. Nor will you find the opening hours of the Acropolis Museum, nor when the changing of the guard takes place in Syntagma Square. That’s not because authors Alexia Amvrazi, Diana Farr Louis and Diane Shugart don’t think that these are worth visiting, but because the Athens they set out to capture is one that is very different from that seen on the well-trodden tourist trails. Multicultural and eclectic, this is the Athens of tango parties in the streets, of hundred-year-old barbershops and of underground rivers alongside the city’s metro stations. Paired with vibrant photographs by Yannis Varouhakis, the writers’ show readers that the Greek capital has far more to offer than the well-known classical aesthetic; it has a number of roads less traveled. And it’s these roads and these haunts, the writers say, that give us a raw view into the modern Greek psyche, and that capture the essence—the whimsicality, the zestfulness and the resilience—of Athens. 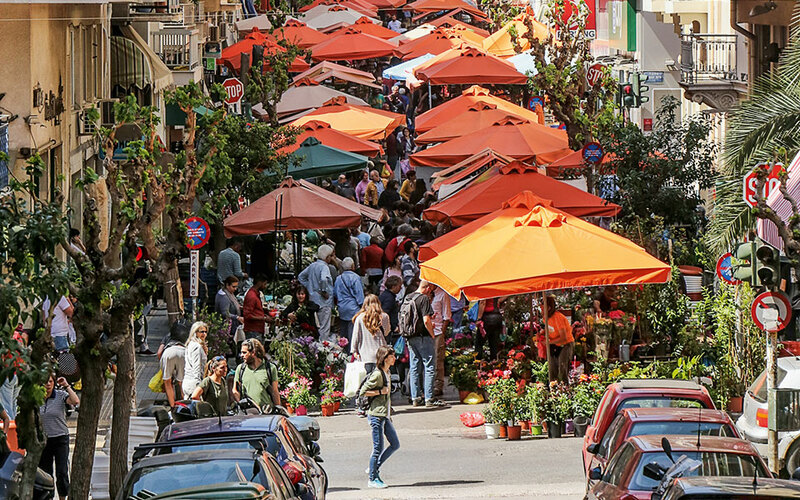 Athens is said to boast 44 street markets, but that’s an old figure. Each of its neighbourhoods hosts one every week and many also welcome organic markets. On those days, traffic is disrupted, parking’s even more impossible, and yet the farmers’ or ‘people’s’ market (laiki agora) is a beloved institution that will be celebrating its 90th anniversary in 2019. They were the brainchild of Venizelos, during his final term as prime minister (1928–1932). And they support small farmers as well as giving city dwellers direct access to the freshest fruit and veg at low prices. Even if you don’t wish to shop, a walk on a street lined with the best Greek produce is a feast for all the senses. You’ll be overwhelmed by the sheer bounty – there’s no sign of a crisis here. Ebony aubergines, shiny tomatoes, enormous pumpkins, pyramids of potatoes, aromatic strawberries, glistening greens and lettuces, some sold by the growers themselves, some by professional vendors supplied by wholesalers, crowd the stalls, all varying with the seasons. But you’ll also find fish, honey, nuts and bins of olives, waiting to be sampled, as well as dried herbs, cut flowers and potted plants, bags of pulses, household goods and even racy red lingerie. Bury your nose in a bunch of oregano, try to resist the scent of grilling souvlaki. These are social occasions too, as regulars chat with the vendors and as neighbour meets neighbour. But we recommend the Kallidromiou market since it stretches across Exarchia and provides a different glimpse of that notorious hotbed of anarchists. Here you will see utterly average people of all ages against a background of graffiti-splattered walls, elegant town houses, ruined buildings, tree-lined steps and a banner proclaiming Asteras 1928, a sports club. And you need fear no riots or protest marches, though you may well be given a flyer announcing one in the near future. Hymettus, the fabled violet-hued mountain to the east of Athens, looks thickly wooded now but in 1945 there was nothing left of the forest but stubs. Starving Athenians had felled all the trees to keep warm during the bitter winters of the Nazi occupation. 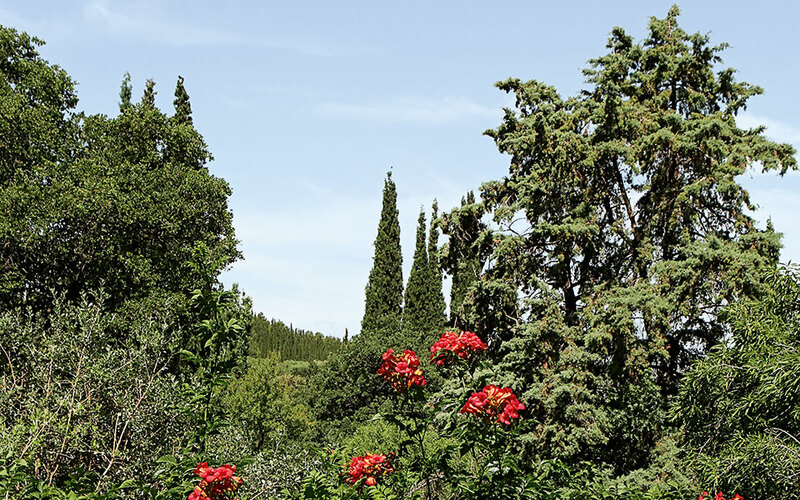 In that year, Katy Argyropoulou, president of the Friends of the Trees (Philodassiki), an organisation founded in 1899, embarked on a programme of reforestation. Within a decade, they had planted three million trees over 600 hectares, and had also undertaken to restore the abandoned 11th-century monastery on the mountain’s lower slopes. The monastery, dedicated to the Virgin but built over the ruins of a temple to Aphrodite, is now a model of Byzantine architecture. It stands in an area of three springs, one of which provided much of Athens’ water supply before the construction of the Marathon dam in 1929. By the 1960s, the Friends created a botanical garden next to the monastery. Since then, with 400 species of plants mostly from Crete and the Peloponnese, plus a few pre-existing ‘aliens’ from Australia and Lebanon, it has won several awards and is one of the European Union’s Historic Gardens. Some of the more insignificant-looking shrubs might only be of interest to botanists, but this horseshoe-shaped garden arranged on the steep slopes of a ravine is a delight in all seasons. It’s a labour of love since weeding in winter and watering in summer are done only by hand, with the plants otherwise left to their own devices. As the curator says, ‘Plants are neurotic, they grow only where they want to.’ So this is a natural botanical garden, very unlike the orderly ones you may be used to. Its serene atmosphere and magnificent views offer a refuge to city-weary Athenians and visitors.